What really happens in a design studio? Along with Figr Architecture and CMD we chatted with Natalie Mortimer from Australian Design Review about the highlights and challenges of running a design practice. The speaker panel was part of The Design Co-op initiative for Melbourne Design Week. "From arguments with builders to timber factories burning down (yes, that really happened!) the real life of a design studio isn’t as glamorous as you might believe. ADR editor Natalie Mortimer recently hosted a panel at the Design Co-op during Melbourne Design Week and spoke to Michael Artemenko of Figr Architecture, Mairead Murphy of Maike Studio and Camilla Molders of Camilla Molders Design to find out the truth behind running a practice. Below is an edited version..."
"They are historic gems, hidden in Sydney’s hottest suburbs or tucked away in regional towns, just waiting for a makeover to bring them back to life. “I think nearly everyone dreams about renovating a property like that,” says interior architect Mairead Murphy. “There’s something so romantic about finding that old building and returning it back to its former grandeur.”..."
" Interior architect Mairead Murphy, of Maike Design, said the kitchen was definitely the first thing people looked at when considering home renovations. “It’s because the way people use kitchens has really changed,” Ms Murphy said..."
"Interior architect Mairead Murphy imbues the smallest spaces with buckets of personality. Her creative work to add functionality, style and light to a single-fronted home in Fitzroy North was a study in accentuating the positives..."
The lovely showroom project we designed for Tide Design Furniture has been featured on Studio Home today! "This felt like a beautiful, fresh post for you to enjoy over what I hope is a VERY relaxing holiday period! Interior Architect Mairead Murphy of Maike Design Studio recently teamed up with exciting furniture brand, Tide Design to help them transform a derelict old factory building (adjacent to their workshop) in Melbourne into this DREAM retail space!..." "I discovered Mairead Murphy's workspace, Studio Sisu, via her Instagram. Drawn to the generosity of daylight, the openness of the plan, the pristine styling and the artfully dishevelled character of the original warehouse, I've been absolutely hankering to see it in the flesh..."
Maike Design Studio and the launch of Mairead Murphy Illustration has been featured on the fantastic Studio Home blog! "I hadn’t quite expected the impact of a simple email intro from Mairead Murphy and her studio mate Sarah Hendy – but lets just say that Melbourne has shot back to the top of my “should I relocate?” list!! This DREAM space pictured here is Studio Sisu ..."
We are absolutely thrilled to be included in the Renegade Collective anniversary issue this month. "Interior architect Mairead Murphy opened up Studio Sisu to Est recently to share the shared creative workspace she has designed, not only for her own multidisciplinary design practice, Mäike Design Studio, but also for creative, likeminded souls in need of a workspace that exudes light, space and positive flow at the core of its aesthetic. 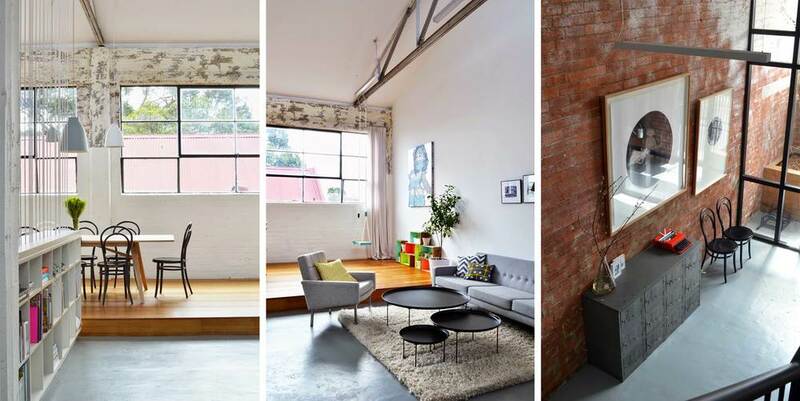 This warehouse conversion in the hipster locale of Northcote, Melbourne houses a handful of lucky designers who now call this their ‘office’." Read the rest of the article in Est Magazine here!